Bayonne is quite the creation. Built in 2006 in the New York harbor, based on thousands of truck loads of fill from the dredging operation in the harbor, it;'s really an amazing experience. I played here a few years ago with my cousin and his son - that's him in deep trouble below right. 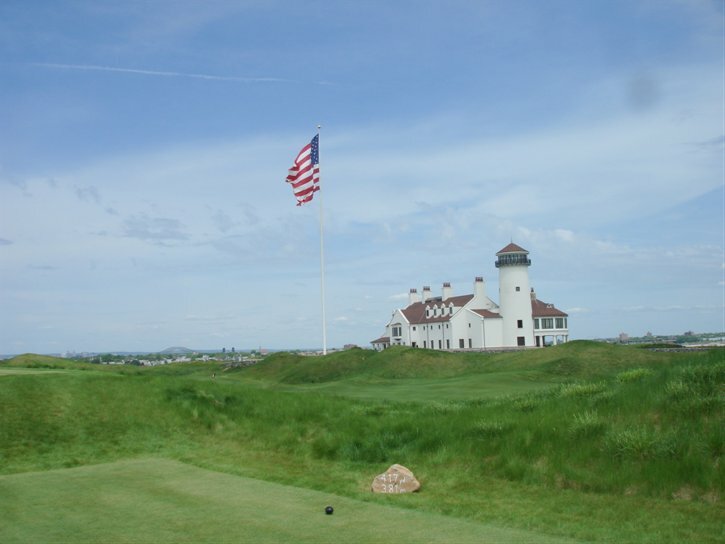 By invitation only, private memberships are available for those discerning few — whether they are Manhat-tan residents, or national or international visitors — who understand the unique privilege of retreating from the city to golf, while keeping it all in perfect view. 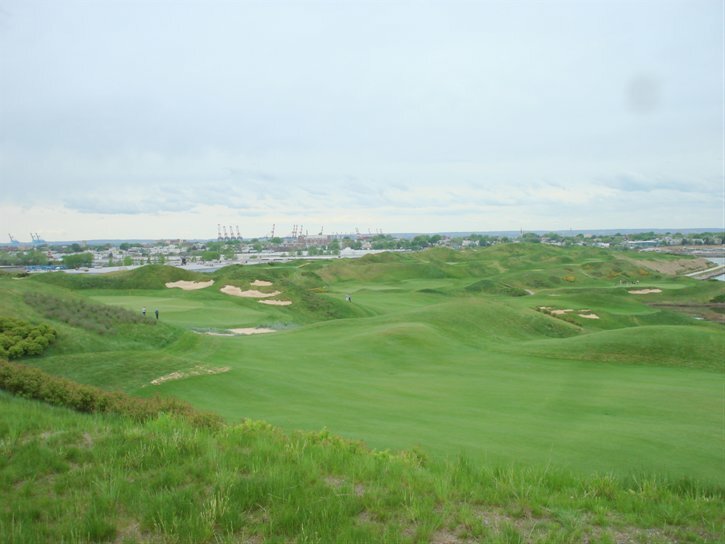 While every effort has been made to satisfy all membership needs, Bayonne Golf Club is primarily a club for the passionate golfer who enjoys the time- less joy of playing golf on a windswept links. In other words, unless you are a really wealthy dude, you might have to be a guest of a Member to play this place. I met the owner when we played there, as well as the chief agronomist. terrific guys and they did a fabulous job.